5 What should be do ? Hi guys, Have you recharge Jio Summer Surprise Offer? Jio surprising it’s customers every time by new Jio 4G offers. Now again another offer from Jio. 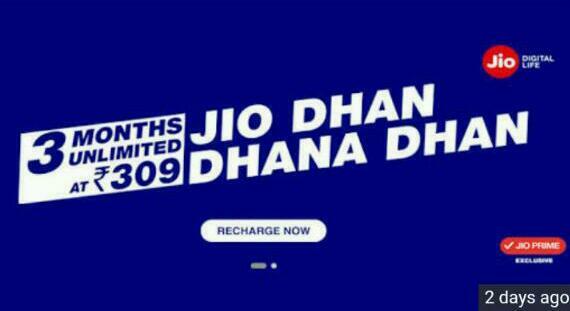 Jio Being A Major Sponsor and Jio Launched A New Offer ” Jio Dhan Dhana Dhan IPL Offer”. As We All Know Jio Came With Summer Surprise Offer It Was Giving 15 Days Extension For Enrollment For Prime Membership And Further Gave Jio 90 Days Free Services. But Due To The advice Given By TRAI In Jio Offer After Complaint By Airtel, Idea, Vodafone And other operators they Withdraw Jio Summer Surprise Offer . 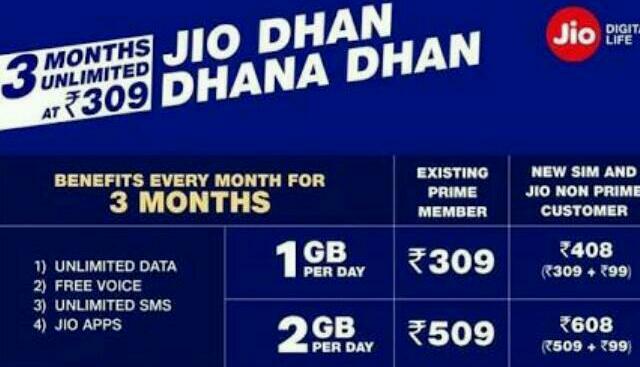 Jio Dhan Dhana Dhan Offer varies between Jio Prime members as well as Jio non Prime members. Read below carefully to know the price details. What should be do ? There are many offers from third parties which will further reduce the Jio recharge amount like phonepe Jio offer, mobikwik cash back offers , paytm Jio promo codes etc.